The butterfly that landed on my hair at the Butterfly Exhibit at the San Diego Wild Animal Park. With two active & inquisitive boys, I can use all the help I can get to quench their never ending thirst to learn new things. It's not uncommon for family movie night to be the latest new show on the Discovery Channel, PBS or other Science show - it's just the way things are around here! 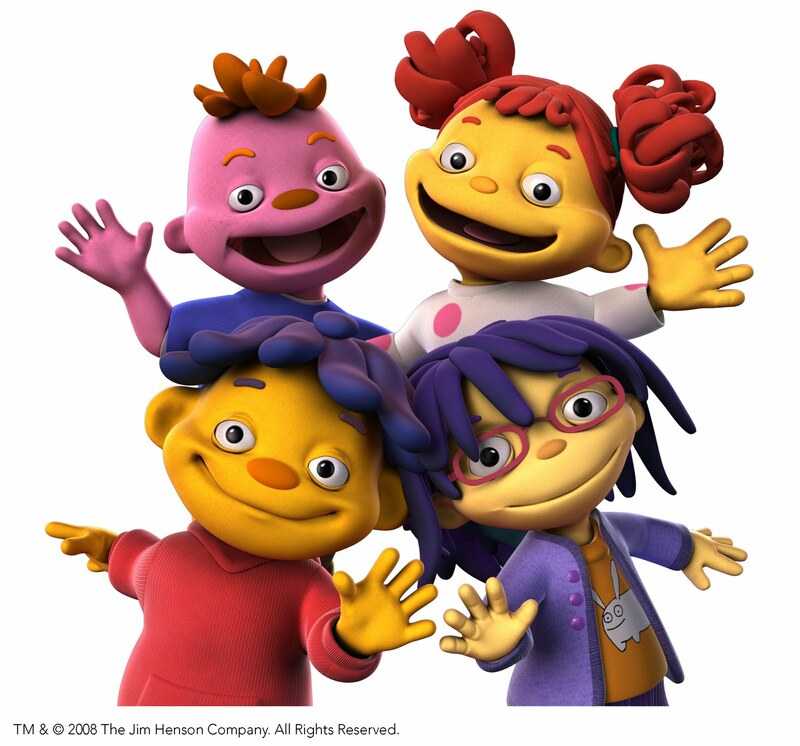 I grew up loving Fraggle Rock, the Muppets and other Jim Henson productions... so when I heard about Sid the Science Kid (on PBS), I knew it was a winning combination! On June 21st you can catch the premier of "No School Singalong Special". To celebrate the premiere, Sid will be available at the Jim Henson Family Day at the Egyptian Theater in Los Angeles on May 22 from 10 a.m. - 2:30 p.m. Tickets can be purchased on Fandango or here, Adult tickets are $11 each and kids are $9 each. 10:00 AM: Co-presented by the Producers Guild of America/New Media Council as part of the Saturday 2.0 series, a screening will take place of A Better World: Living in Harmony beginning with a rarely seen episode of “Fraggle Rock” (1983), the TV series that contrasts three communities - the musical Fraggles, the industrious Doozers, and the giant Gorgs - who all co-exist in a carefully balanced underground world far below those mysterious silly creatures who live above ground (the humans). Next is "Song of the Cloud Forest" (1989) directed by Jim Henson which features a blend of music, puppetry and animation resulting in a vibrant landscape of color that echoes the natural beauty found in the real world's rain forest. Starring a brightly colored cast of puppet animals, the show celebrates the beauty of this natural environment while educating the audience of the real dangers threatening the survival of both the rain forest and its inhabitants. But here's the best part! I've got two tickets to giveaway! Remember to post a comment for each entry. The contest will close this Tuesday May 18th at 6pm (pacific time). I will email the winner and will need a response with your mailing address within 24 hours so the winner can receive their tickets in time. Post a comment on here saying why you'd love to win the tickets! 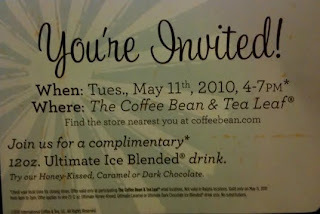 More Free Coffee Drinks at Coffee Bean and Tea Leaf! As you may have guessed by now, I'm a huge fan of Coffee Bean & Tea Leaf. They've been having some great deals lately... here's another! 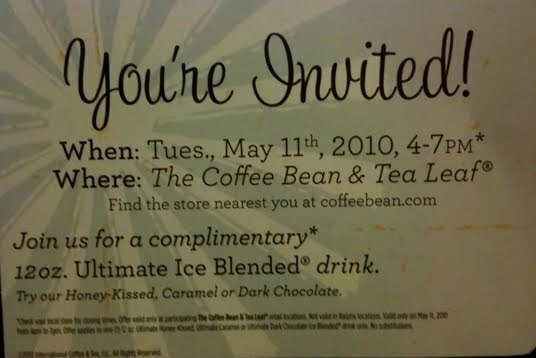 TODAY - May 11th, 2010 from 4-7 pm at your local Coffee Bean & Tea Leaf store, you can pick up a complimentary 12 oz. Ultimate Ice Blended drink! They've got some great flavors to try... the Honey-Kissed, Caramel or Dark Chocolate.